Originally from Tokyo, Hideo Dekura came to Sydney in 1974. 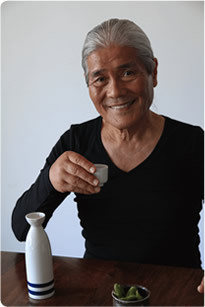 He set up the first ever Japanese catering company in Sydney, lectured in several places, received an award from the Japanese government for his significant contribution to promoting Japanese food, and opened Culinary Studio Dekura in Chatswood. 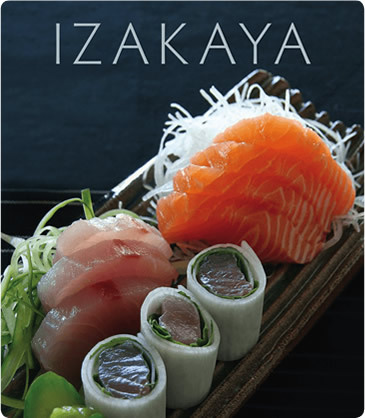 From his new book IZAKAYA, Washoku Lovers have selected recipes for a recommended menu for matching cold / warm sake. 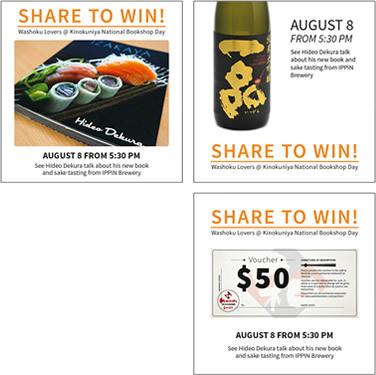 lease enjoy a tasting of pickles and oden matching with sake during the book signing and visit our Instagram @washokulovers for a chance to win your own copy of IZAKAYA, IPPIN sake, and $50 voucher to use at any Washoku Lovers partnered restaurant. 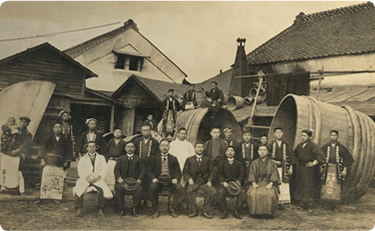 IPPIN has been brewing sake since 1790 in Mito City in the Prefecture of Iabaraki, originally started by the Yoshikubo clan. With the motto “Not too dry, not too sweet. We want to brew tasty Sake” you know you’re in for a treat when you choose IPPIN as your drink! Currently running the brewery is 80 year old Fumi “Seizaburo” Yoshikubo the 11th, and it is managed by Hiroyuki “Seiraburo” Yoshikubo the 12th along with 3 younger brothers. 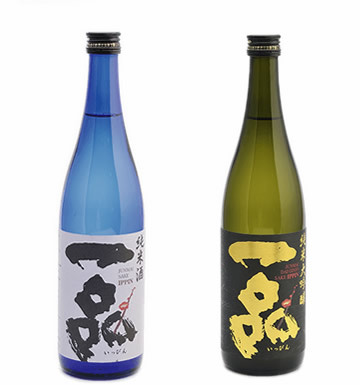 For the second year in a row (2014 and 2015) at the San Francisco International Wine Competition, IPPIN Junmai Daiginjo Double won the gold medal, and IPPIN Junmai took silver. For the most satisfaction, IPPIN brewery recommends IPPIN Junmai. The traditional smooth and tasty off-dry sake, serve it cold at 12°C or warm at 50°C for the best Sake experience. Component of Oden soup(Dashi) makes harmony with Ippin Junmai sake. This Junmai sake helps Oden dishes more excellent flavour. Please feel the marriage of Yuzu(Citrus) and taste of Pineapple fruity flavour of Daiginjyo. Izakaya is a Japanese style drinking place, or the Japanese equivalent of a pub! Today’s food tasting was provided by IZAKAYA Yebisu. 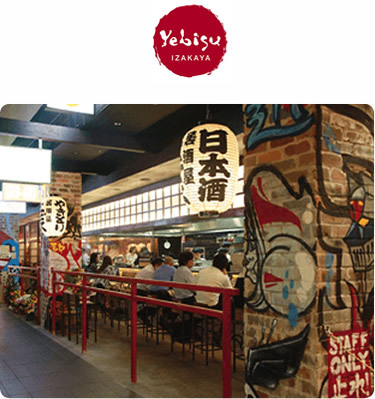 IZAKAYA Yebisu is an authentic Izakaya-style Japanese restaurant, conveniently located at the heart of the Sydney CBD right next to Town Hall and the QVB. Another meaning for the word “Izakaya” in Japan is “sake dining place”, so of course you can also find your favourite beer and Sake at Yebisu, with more than 100 beverage items on the menu for you to select from. The Washoku Lovers membership benefit at IZAKAYA Yebisu is Tempura Ice Cream for only $2! 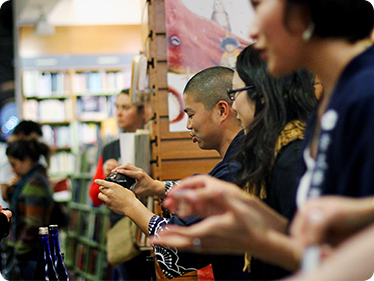 Come and join us to Hideo Dekura Cook Book “IZAKAYA” event at Kinokuniya Sydney! Repost one of these pictures* or all of them! And tag @washokulovers @kinokuniya_sydney #hideodekura for your chance to win each item you repost! Come and find there photos @washokulovers on Instagram!